NOTICE: Activation key must be used on a valid Steam account, requires internet connection. ABOUT THE GAME Alma is expecting and a new level of terror grows as you and your cannibal brother battle through a hellish nightmare. Fight together or die alone on a deadly mission to confront your twisted mother. Players can take on the role of Point Man, a genetically enhanced soldier with superhuma… n reflexes and the ability to manipulate time, or the undead spirit of his brother Paxton Fettel, a paranormal entity who possesses incredible psychic powers. Blood Runs Deep, F.E.A.R. Runs Deeper: F.E.A.R. 3 delivers all the hallmarks that define the F.E.A.R. brand: terrifying paranormal experience, frenetic combat and a dramatic storyline. 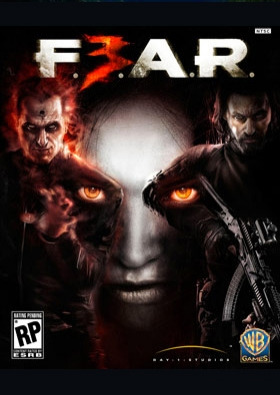 KEY FEATURES Never Face Fear Alone: F.E.A.R. 3 evolves the brand, introducing Divergent Co-op: deep, social gameplay that gives players distinctly different abilities that affect their own play as well as the experience of gamers they are playing with… or against. Frenetic Combat: Active 360 degree cover, evolutionary slow-mo modes, scoring systems and best in class mech- combat aid players in facing an army of soldiers and paranormal enemies. Experience the Almaverse: The game world is tainted by the Almaverse, the alternate dimension where Alma’s psychic essence subsists. New sinister and fantastical enemy creatures birthed in Alma’s warped mind spill into reality and intensify the panic. Generative System: Proprietary technology creates random events to increase the feeling of isolation and unpredictability when playing alone or with a friend, and offers new experiences each time gamers play through. Masters of Horror: Legendary film director John Carpenter and writer Steve Niles provide their expertise and guidance to take F.E.A.R. 3 ’s intensity to the next level. Niles co-wrote the twisted storyline that reveals the motivations and family dynamics of the main characters, and Carpenter helped craft the cinematics for maximum storytelling and fright factor. SYSTEM REQUIREMENTS MinimumOS: Windows XPProcessor: Intel Core 2 Duo 2.4Ghz, AMD Athlon X2 4800+RAM: 2GBHard Drive: 10GB Free Hard Drive Space Video Card: NVIDIA 8800 GT 512MB RAM, ATI 3850HD 512Mb RAM or betterDirectX: 9.0c Recommanded :OS: Windows 7Processor: Intel Core 2 Duo 2.93Ghz+, Intel quad core 2.66Ghz+, AMD Phenom II X2 550RAM: 4GBHard Drive: 10GB Free Hard Drive Space Video Card: NVIDIA 9800 GTX+ 512MB RAM, ATI 5750HD 512Mb RAM or betterDirectX: 11	F.E.A.R. 3 software © 2011 Warner Bros. Entertainment Inc. Developed by Day 1 Studios, LLC. All other trademarks and copyrights are the property of their respective owners. All rights reserved. F.E.A.R. 3 and all related characters and elements are trademarks of and © Warner Bros. Entertainment Inc. WB GAMES LOGO, WB SHIELD: ™ & © Warner Bros. Entertainment Inc.